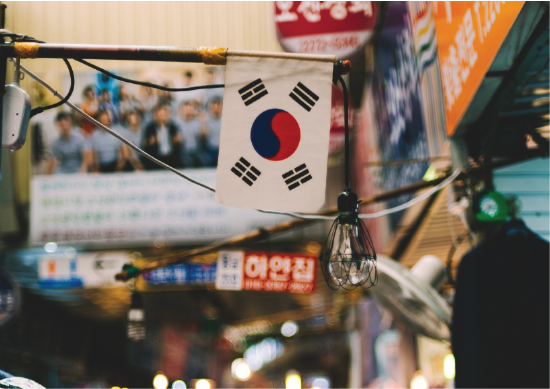 Our CRCC Asia team couldn’t wait to add Seoul to our growing list of international internship locations. Why? 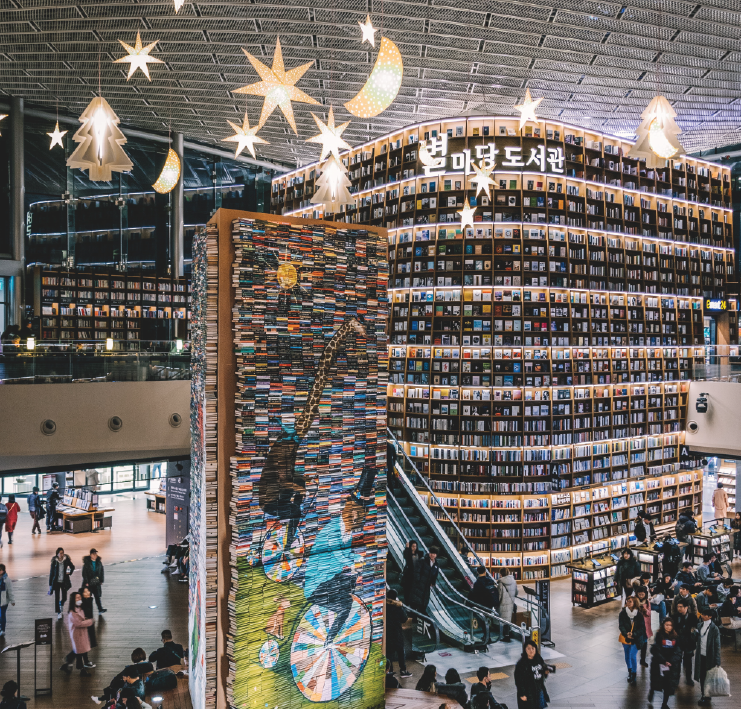 Our branch General Manager Claire will enlighten you on the top things to do in Seoul. Looking for the top things to do in South Korea’s brilliant city of Seoul? You’ll need some fuel first! Gwangjang market is my favorite street market in Seoul. They have bindaetteok (crispy deep-fried mung bean pancakes served with a vinegary dipping sauce), soondae (pig’s blood sausage stuffed with sticky rice), and addictive mayak gimbap (a seaweed rice roll made with sesame oil). Once you’ve filled your stomach, it’s time to feast your eyes; the other things Gwangjang is famous for are colorful silk and satin bedding sold at reasonable off-brand price. You can buy hanbok (traditional Korean attire) ranging from $500 to $2,000 at hanbok shops. Jogyesa Temple offers the unique experience of a temple stay in the heart of the bustling city, making it one of the top things to do in Seoul. The Jogyesa Temple is one of the main temples in South Korea and the district head temple of the Jogye Order of Seoul. Jogyesa’s Dharma Hall hosts lectures and ceremonies all year long. Their main program called “Temple Life” aims to teach its diverse range of visitors about the spiritual value of Buddhism and offers an opportunity for participants to converse directly with monks living as Buddhist practitioners. The Gangnam Station area (yes, that Gangnam) stretches from the subway station of the same name to the northern end of Sinnonhyeon Station and is a place where Korea’s education, youth and corporate cultures converge simultaneously. Its electric streets really come alive at night, when businessmen and career women descend from the modern office buildings that tower high above the commerce district, which is home to the headquarters of Samsung Electronics. For shoppers, Gangnam’s underground shopping street it can be a trip highlight. Here, hundreds of tiny clothing, accessory, cosmetics and telecommunication shops are conveniently lined up one after the other, making it easy for shoppers to compare prices and quality before making a purchase. If you are a big fan of K-pop idols you might want to take a tour of the 3 big entertainment companies in Korea: SM, JYP and YG. K-Star Road is an actual road, and one bustling with energy and excitement. Located between Apgujeong Rodeo Station to the Cheongdam intersection, K-Star Road features a variety of K-pop artifacts, one of which is a large toy called ‘Gangnamdol’. Tourists often take pictures with this iconic doll, a representation of the cultural buzz that has hit Korea since the Korean Wave. Along with this doll, the street features numerous other products and shops associated with entertainment companies—helping further one’s appreciation of Korean pop culture. Namsan Seoul Tower is the first tower-type tourism spot in Korea. The top of the tower is at almost 480m above sea level, including Namsan Mountain (243m) and the tower’s own height (236.7m), making it one of the tallest towers in East Asia. When you go to N Seoul Tower, remember to go to the roof terrace of the tower by taking a cable car because you can get an opportunity to see the stunning view of entire city. In addition, you will discover thousands of padlocks inscribed with messages and attached to the fence to show couple’s eternal love or wishes.Make sure to write your wishes on your own padlock to make your dream come true. As of now, it has become one of the representative landmarks and multi-cultural venues in Seoul. Now you have the top things to do in Seoul on your hit list, are you ready to see this fantastic city? You can combine your travel dreams with your professional goals by undertaking an international internship with CRCC Asia. Make your first step and apply online today. 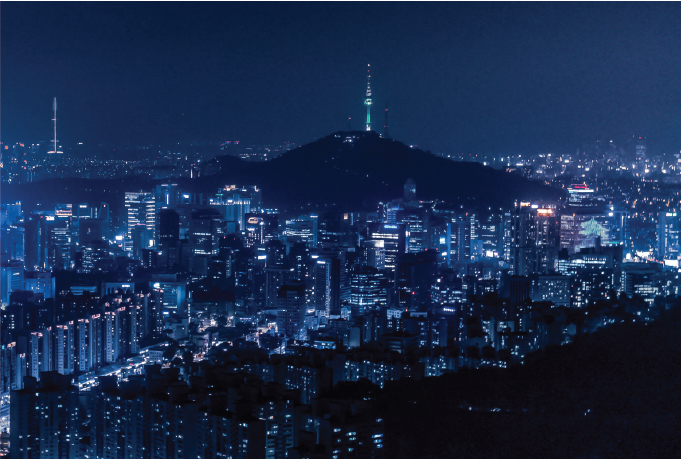 You can also check out our 10 Reasons to Intern in Seoul.